Losing your keys can feel like the end of the world. And if you drive an Infiniti, being without your key fob means there is no way that you are getting into your car or getting it started. It is a real emergency and you will need a quality locksmith to help you through this process. The good news is that you have come to the right place. 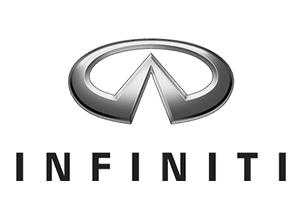 Door N Key Locksmith will ensure that you are back in your Infiniti in no time at all, with an express key fob replacement service designed for customers such as yourself. Our service is available 24/7/365. Whether it is Christmas morning or 3AM on a weekend night, you can be sure that we will be available to assist you in getting a replacement Infiniti key. The best part about our service is that we come to you. With a fully loaded van, and technicians who are capable of providing on-site support, we will be at your location within minutes of our initial conversation. We have all the necessary equipment in the van to get a new Infiniti key fob or transponder key made for you. Then you can go back to your life, knowing that your car is safe and that you can get inside it whenever you want!